Over at P K Glitz we have had some of you ask how to make the trees from my nativity project. Well I threw together a tutorial for you so you can have some fun. People just love these, On their own or in a setting they are just simply beautiful! Here is my project once again. 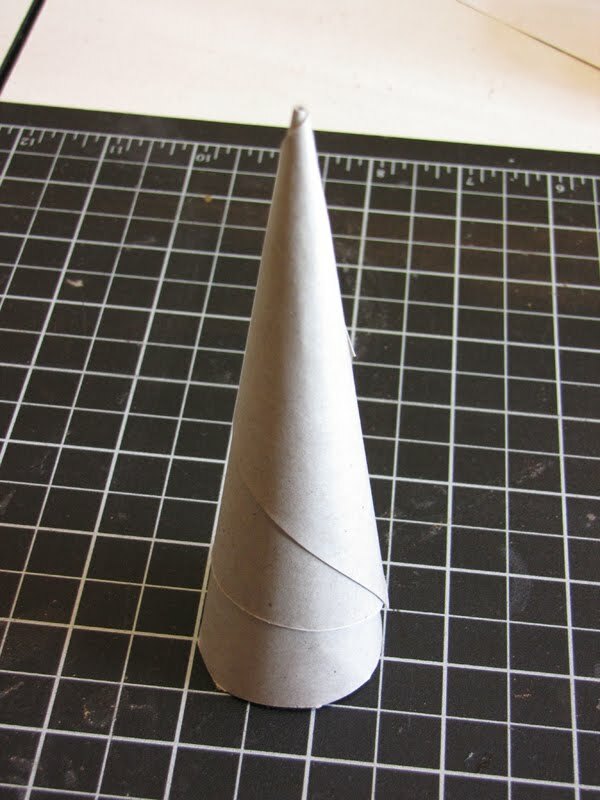 Step 1 – Roll a cone out of cardstock to create desired height and width. 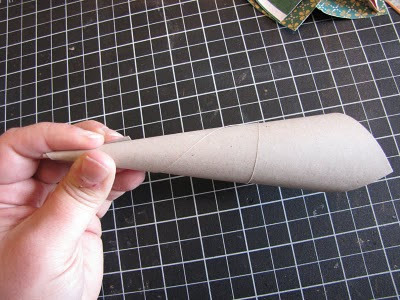 Step 2 – Use Sticky Tape to secure the cone in place. 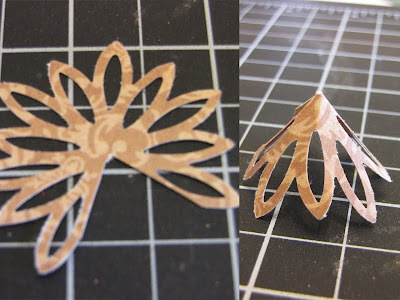 Trim the point at the open edge so cone sits flat on table. 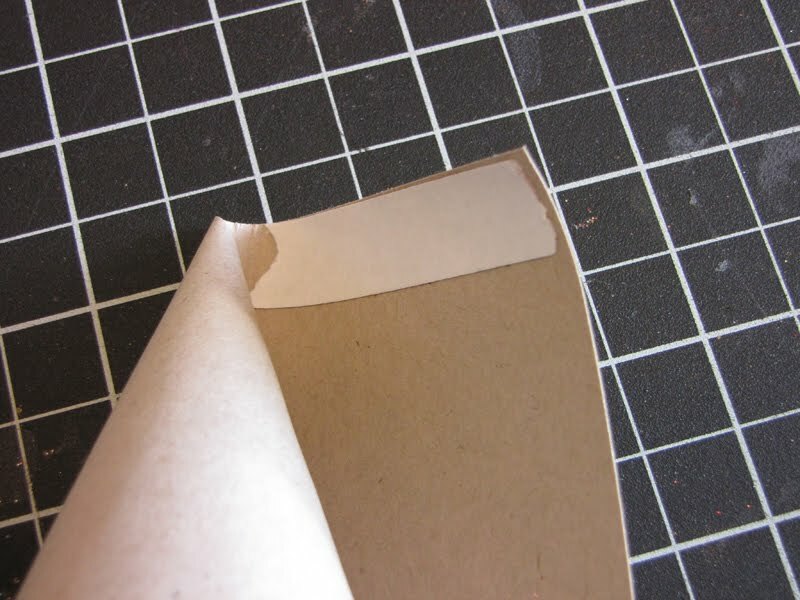 Step 3 – Cut strips 2″ wide from your scrapbook paper. Put sticky tape along one of the long sides on the back side of the paper. 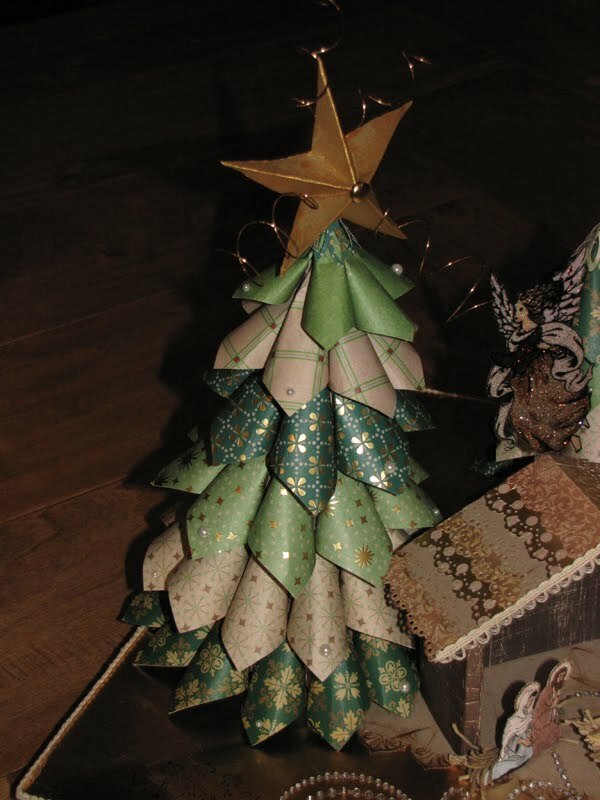 Optional Step 3a – If you would like to have the edges of your branches glittered this is a good time. on the front side of the scrapbook paper squares line two sides with the P K Glitz Sticky Tape 1/8 “. Peel backing off and glitter with desired color then continue to step 4. 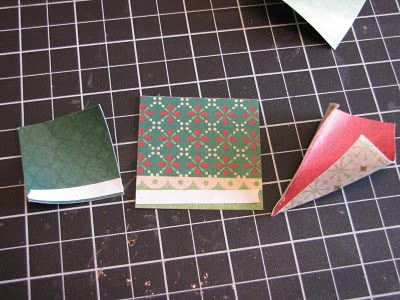 Step 4 – Cut the strips into 2″ squares. Step 5 – Remove Sticky Tape Backing and roll squares into cones. Adhere to cone, working in rows starting from the bottom up. When you have room for about two more rows at the top you will need to scale down the size of your squares. The the second row from the top should be 1/4″ smaller squares and the top row should be 1/2″ smaller then the main rows. 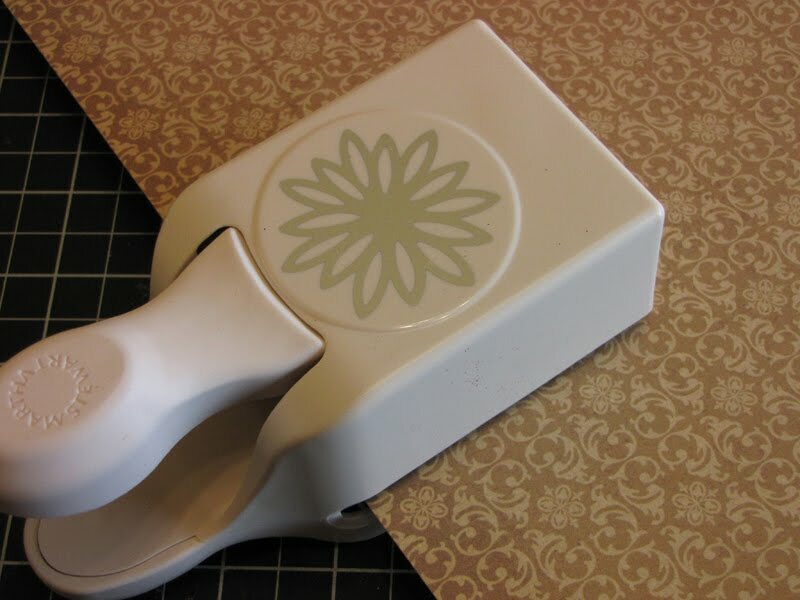 Step 6 – Punch a large flower out of one of the papers you used. 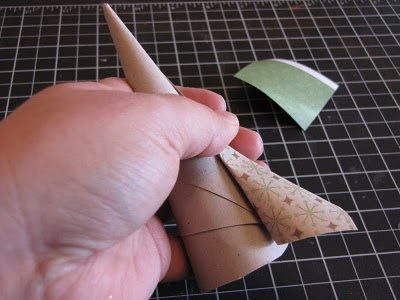 Step 7 – Cut a “pie” shape out of it and then roll into a loose cone and adhere closed. Step 8 – Top it with the flower cone and any other decorations you wish. 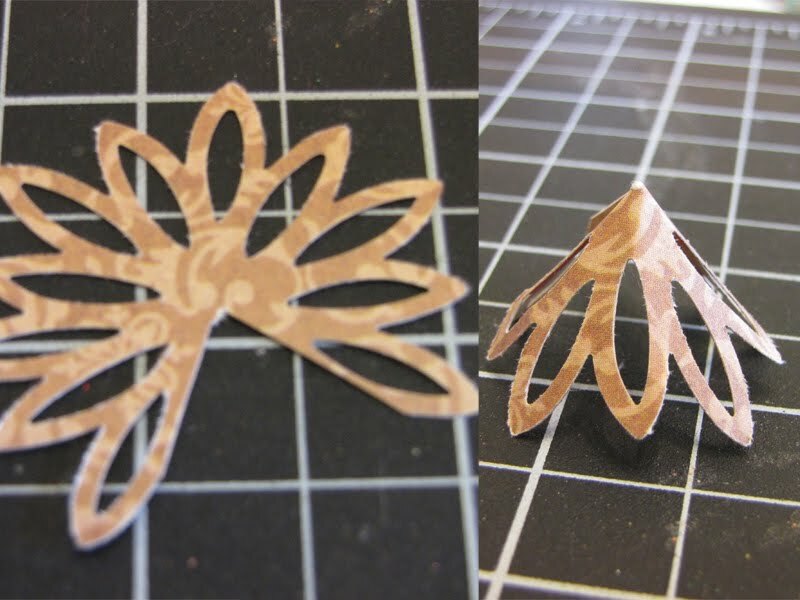 Step 9 – Embellished if desired. I used some pearls and placed them randomly on branches. You can apply the glitter to the tips of the branches after assembly to make it look like snow. Brush glue onto the tips of the branches and dust with P K Glitz Glitter in White Pearl, Crystal Clear or White Orchid. I hope you enjoy this little tutorial and have a Happy Holiday Season. 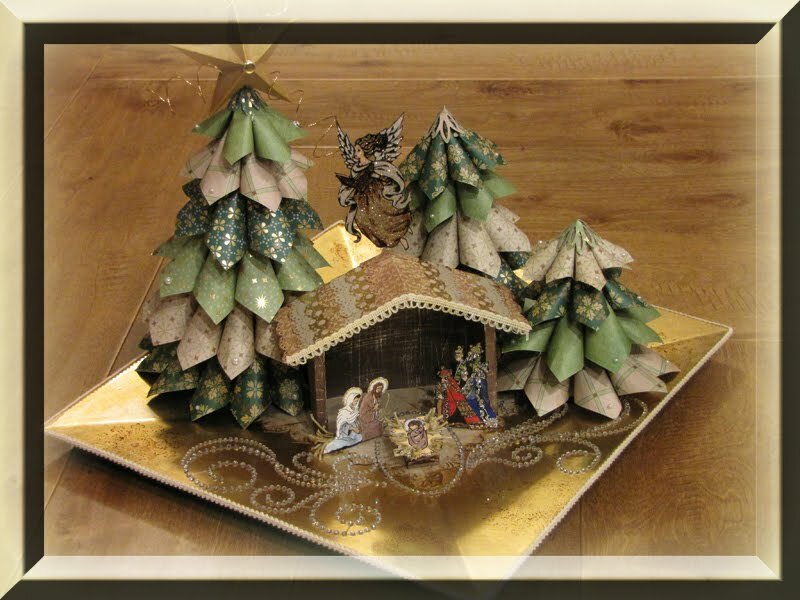 Such wonderful trees for your nativity project. Thanks for sharing the tutorial!